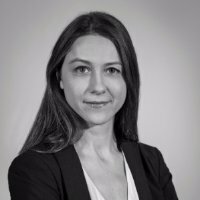 Meet our jury for the Ada Awards : Austeja Trinkunaite is CEPIS ( Council of European Professional Informatics Societies) Secretary General. Austeja has been previously working for ECDL Foundation in Brussels. As European Policy and Communications Manager she has developed and maintained contacts with key policy stakeholders such as DG Grow, DG Connect, DG Employment and DG Education of the European Commission.